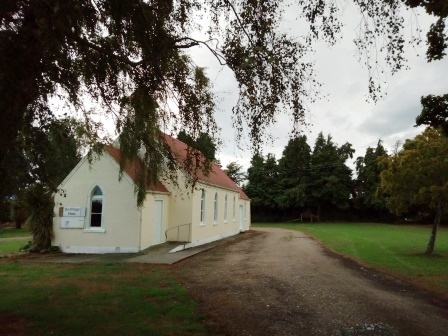 A group of very committed citizens from Tuapeka Mouth have been busy cleaning up the former Tuapeka Mouth Presbyterian Church which they purchased under the name of the Clutha Valley Tuapeka Heritage Trust. They have carried out a massive cleanup of the neglected property and the grounds have been given a makeover with plans for painting and building maintenance on the 1909 building to bring it back to its former glory. 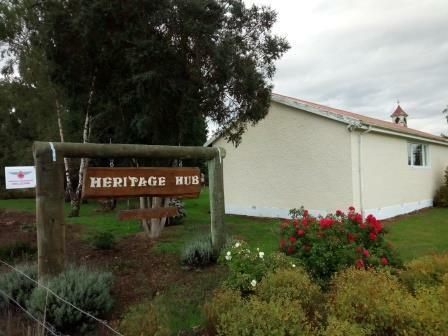 The Trust Intend using the building for local functions and as a meeting place for the community. There is ample ground around the buildings and the NZMCA and have declared the Heritage Hub as a POP (park over property). The locals look forward to meeting members of the Association during their stay there. They are keen to attract more people to their area which they consider one of New Zealand's best kept secrets. 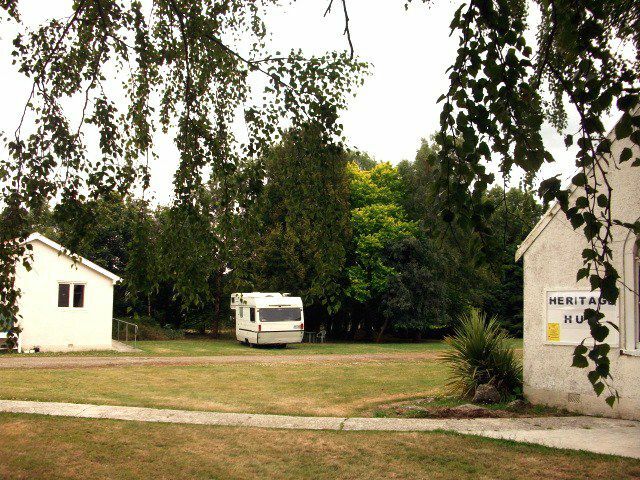 The Hall is available for motorhomers to use as needed and there is a flush toilet at the back of the main building. Freshwater is also available. 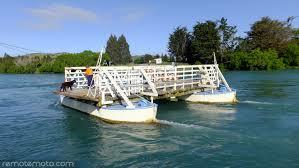 The Tuapeka Mouth Ferry (The Punt) crosses the Clutha River and is a great attraction at Tuapeka mouth. It is the only one of its kind in the southern hemisphere using the flow of the river to cross from one side to the other and back. The river is also great area for fishing either for trout and salmon in the Clutha River or trout up the Tuapeka River . Gold panning is another activity and there are lots of the river walks and history in the area. Tuapeka Mouth is a beautiful area at the Junction of the Clutha and Tuapeka Rivers about 33.5kms up River from Balclutha and 26.5kms from Lawrence. The area is a great way to get to Central Otago - via Lawrence or Beaumont (use the Clydevale Bridge w.hen punt is not operating. 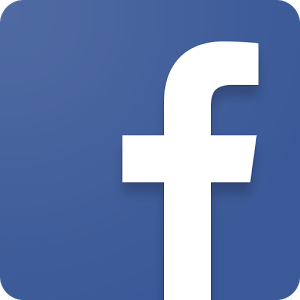 See LOCATION MAP page. The area is well known for its healthy sheep, beef and dairying country. In 1852 the intrepid Thomas Archibald navigated the Clutha as far as Beaumont in a whaling boat. Following the gold rush at Lawrence in 1861 crowds of miners worked all the way down the Tuapeka River to Tuapeka mouth in search of gold and later the Clutha River was dredged for gold for many years with indifferent results. Tuapeka Mouth was an inland port for about 30 years until 1939 for paddle wheel steamers to and from Balclutha. As late as 1945 the Tuapeka mouth goldmining company still employed two or three men. Next time you're planning a trip to the South, be sure to visit the area and take advantage of the new Heritage Hub POP and meet some of the locals who are keen to tell you about the area and what they believe is New Zealand's best kept secret. Staying over. See POP page.